Putting your home on the market during the holiday season might seem like you’re just inviting stress and frustration to come knocking on your door. However, December is a great time to sell because there are few homes on the market, buyers are serious and your house will be decorated to look nice and cozy. With the tips below, you can get your home ready to sell and ensure important family time by having the kids help out. Employing a professional will allow you to unload the worries that come along with selling a home. Your real estate agent will burden the pressure — and work — of finding the perfect buyer for your home. This will free up your time to enjoy the season with your family. With your house up for sale, you don’t want to go too crazy with decorations. Make a day out of decorating and have the kids help you put up your more tasteful trimmings. Then you’ll be creating family memories and making your house festive for the season. Avoid any overly religious decorations and try to go for a winter theme. Have your teenager be the cameraman while you narrate. Or, for an even more adorable virtual tour of your home, have your child describe each room. 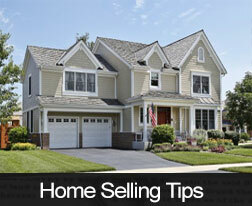 Then post the video on your home’s website for buyers to view. Not only will buyers get a feel for your home, but you’ll have great memento of where you lived once you move. Use low lighting, build a fire, play classical music and turn up the thermostat to create a snug environment that buyers and your family will enjoy. You’ll make potential buyers want to linger in your inviting home. And, your family will have fond, homely memories of their last holiday season in this house. Keeping your home immaculately organized and clean can be exhausting. Remember that this time of year is all about family. So relax and enjoy yours! If you don’t end up selling your home this December, then there’s always next year — which is fortunately only a few days away. Don’t let the holiday rush intimidate you when it comes to selling your home. By getting your kids involved, you’ll sell your house and make lasting memories of the final festive season in that home.